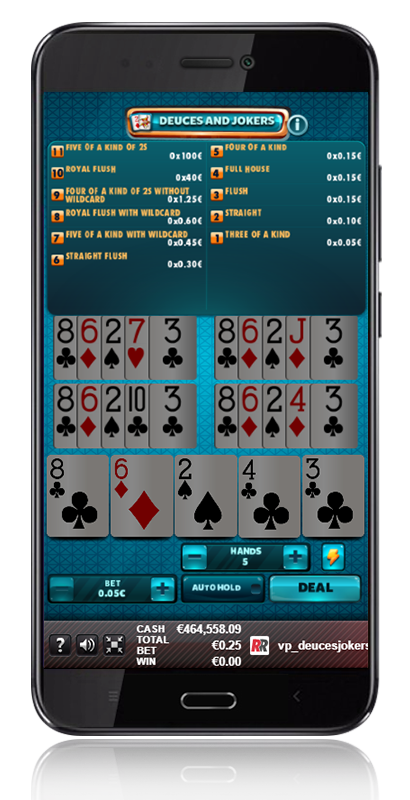 You will have 5 wild cards. 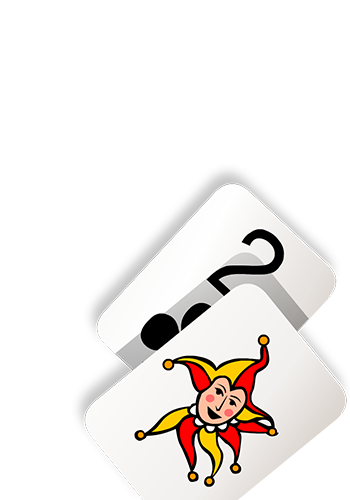 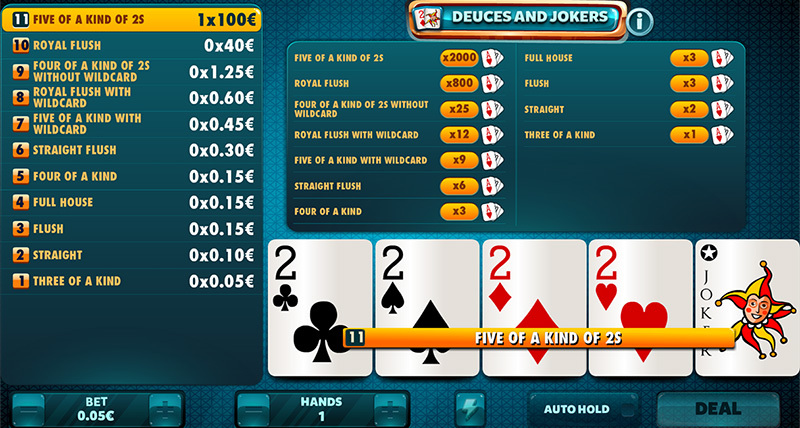 Both the Joker and the 4 deuces will act as a wild card in a modality where any play equal to or higher than a Three of a Kind will have a prize. 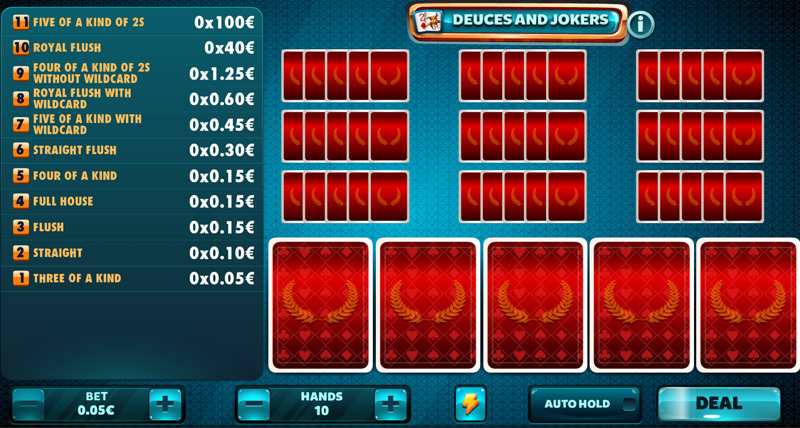 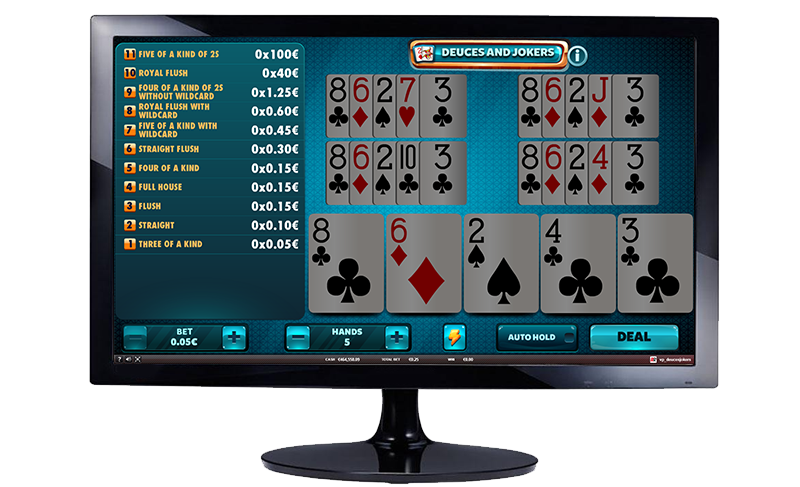 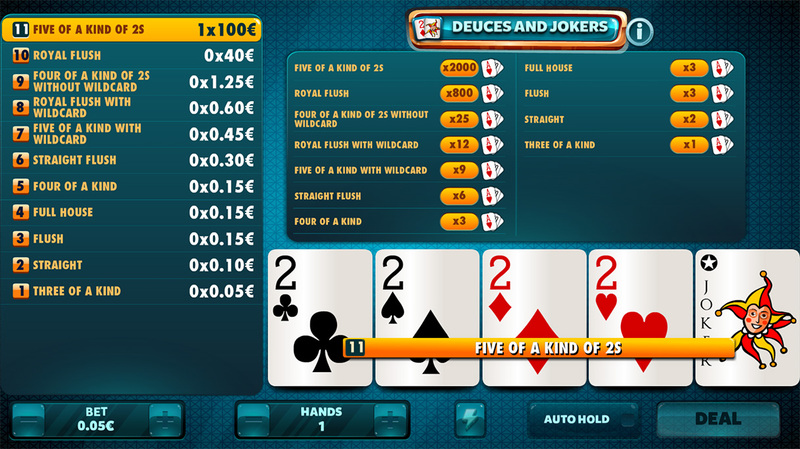 Deuces & Jokers Wild: The Video Poker format with the most prizes, with a single pair you will already have a prize. 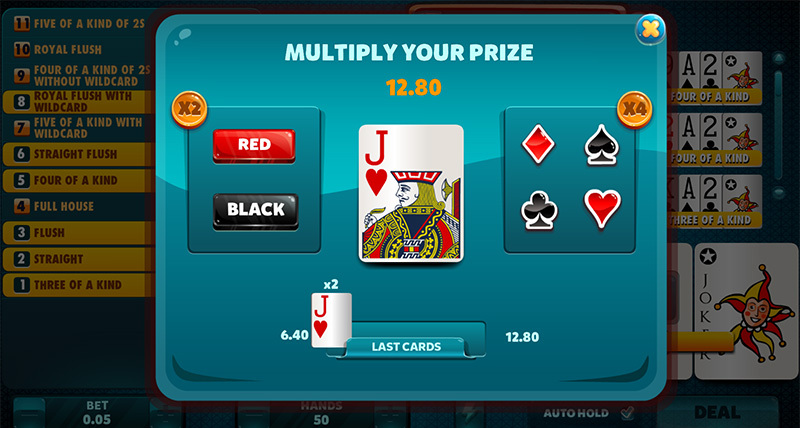 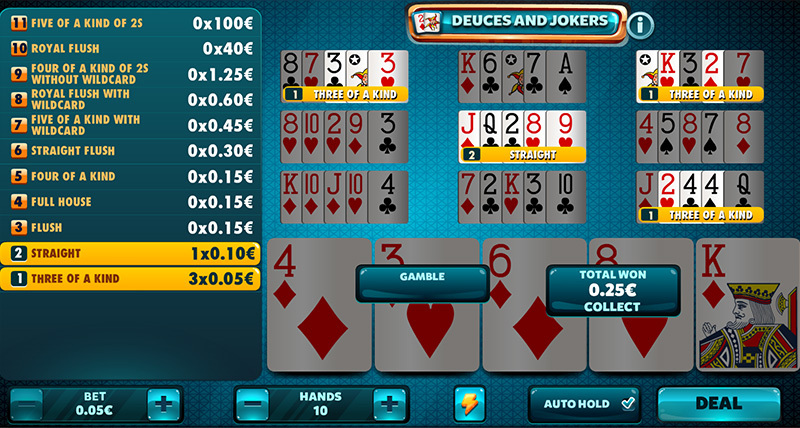 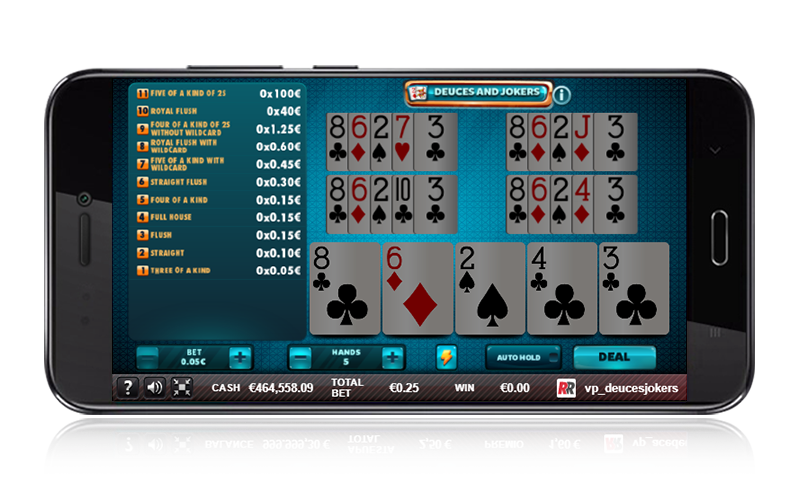 Deuces & Jokers Wild: Any hand equal to or higher than a three of a kind will have a prize.